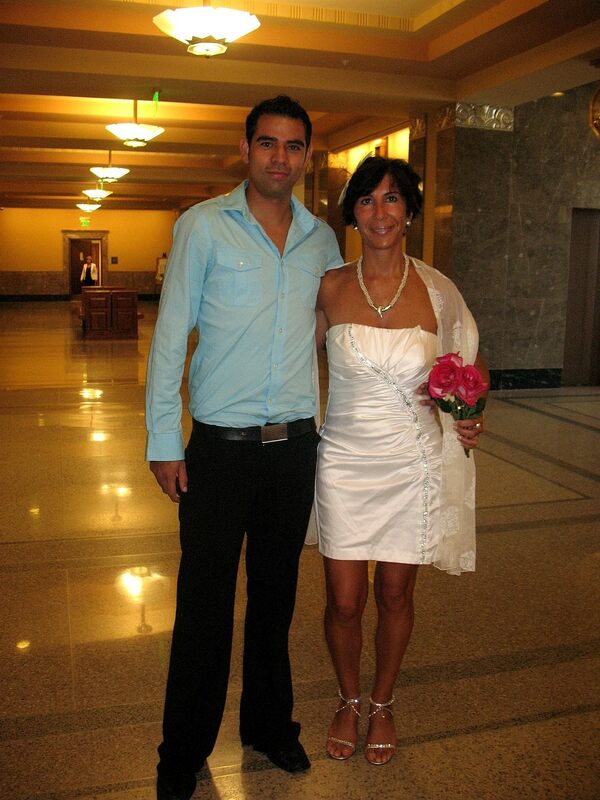 Today I was the sole witness of the wedding of soul mates— Monica from Spain and Alessandro from El Salvador. Sprinting to deliver the bridal bouquet, I forgot money for the courthouse garage. Though I fancy myself Ms. Salsa in the City, I couldn’t handle Carrie Bradshaw heels in Nashville heat. My feet swelled, then blistered. After the ceremony, I leapt, then limped, across sizzling sidewalks barefoot — shady spot to shady spot– to Regions to withdraw the ransom for my car. No matter. Tonight I’m still smiling at the beauty of simplicity. I was honored to see them stand before the Justice-of-the-Peace. Though their wedding costs were minimal, the way they looked at each other as they exchanged vows and treat each other daily makes the couple one of the richest I know. Though Skype keeps us connected, I miss my walks and talks with Moni by the Stones River. We gave them a send-off which was bearable only because I plan to visit and, more importantly, they have each other. I will miss them both at Mad Donna’s 5th Anniversary Celebration on Saturday—the place they met. But I remembered just last month when we were all three at Summer Solstice parties—me on a farm in Tennessee and them at bond fires on the beach—that we were welcoming summer under the same moon. Salsa at Mad D’s…where the Happy Couple and so many of us met.